What information do I need to reorder prox cards? Comments Off on What information do I need to reorder prox cards? Ask AlphaCard: Can I print on prox cards? Comments Off on Ask AlphaCard: Can I print on prox cards? Have you tried AlphaPass prox cards yet? 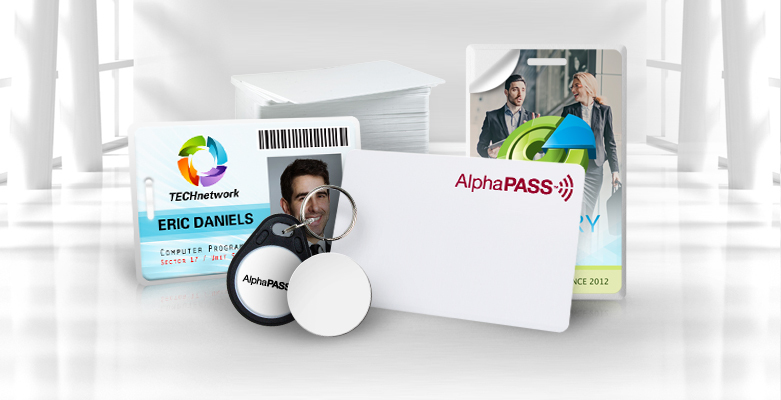 Available in a range of styles, AlphaPass proximity cards work with industy-leading card readers (including HID). If your organization is looking for a prox card solution, consider AlphaPass! Comments Off on Have you tried AlphaPass prox cards yet? 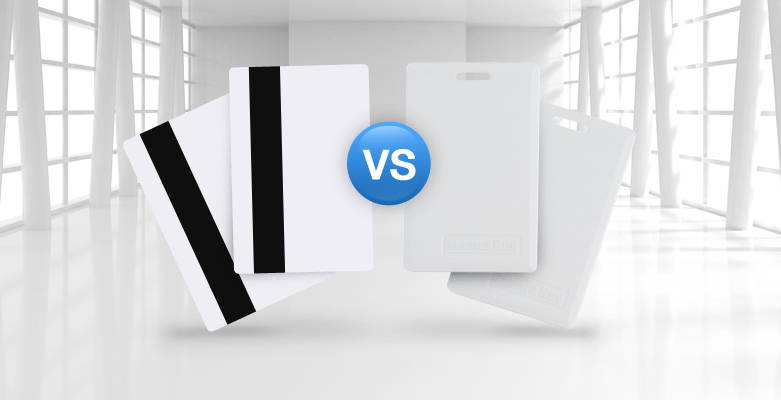 What’s the difference between magnetic stripe and prox cards? Comments Off on What’s the difference between magnetic stripe and prox cards? Can I print on clamshell cards? Comments Off on Can I print on clamshell cards? Wondering what thin cards are used for? We’ve got the low-down on the benefits of these slim ID cards. Thin cards are used for a couple of different purposes in the ID industry. For one, thin cards (typically 10mil) can be used to produce professional business cards that are more durable than their ordinary paper counterpart. Not only will these cards hold up better, your business cards will stand out from the pack. 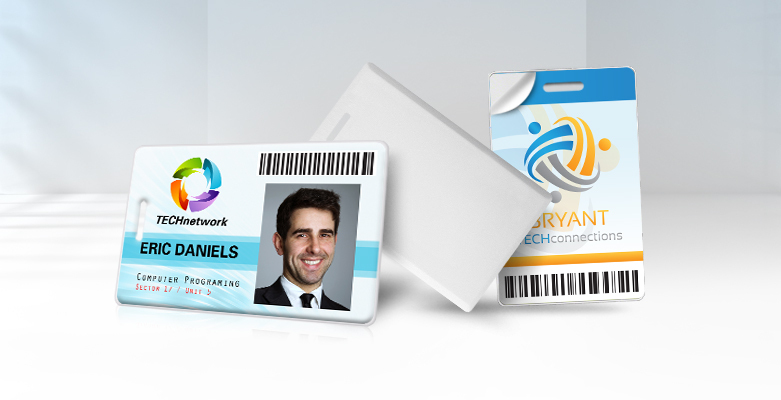 Proximity cards come with their own special set of challenges when it comes to figuring out a way to display them that is both secure and functional. Because proximity cards contain embedded electronics, extra care must be taken to not damage the technology cards by corrupting the electronics. Australian airline Qantas recently implemented Next Generation Check-in at the nation’s largest airport using contactless card technology. The new procedure saves card holders’ time and reduces line lengths for all who fly with Qantas. Deciding to re-card an entire college is a daunting prospect, but that’s exactly what Emerson College set out to do this year when they replaced their old ID card system with contactless card technology. Located in Boston’s theater district, the school’s eight buildings on campus see thousands of visitors walk by every day. 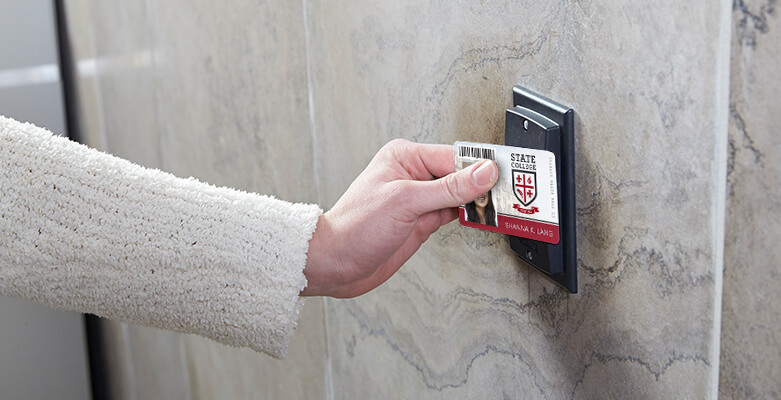 The new contactless system provides the school with increased security and greater flexibility for access control, information management, and cashless payment.